Quality Features : # 1. Power Saving Insulation # 2. Isi Marked Heating Element ,Thermostate And Cutout . # 3.Heat Resistent Engineered Abs Plastic Body # 4.Extra Heavy Element For Extra Durability # 5.Extra Thick Capsule Type Inner Tank # 6.Anti Vaccum System # 7.Automatic Thermostate # 8.Power Saving Insulation # 9.Built In Pressure Release Valve # 10.Comes Along With Magneesium Anode For Long Life In Hard Water # 11. 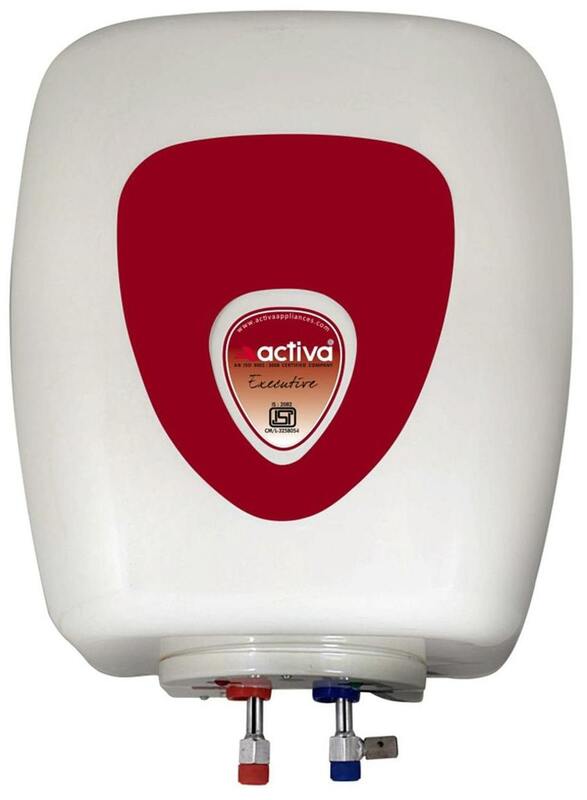 Exclusively Designed(Best Combination Of Ivory Color With Maroon) # 12.Activa 25Ltr. Geyser Comes With A Pure 304 L Stainless Steel Inner Tank . # The images represent actual product though color of the image and product may slightly differ.